So what are the factors that make annuity products different? There are factors listed below that allow us to group annuities into several categories, however you should remember that not all annuities in one category are similar and comparable, all annuity companies make their products behave in a somewhat different way, have different strategies in calculating your gains and losses and use a slightly different terminology. You also need to keep in mind that many annuity companies manage their funds, including your annuity investments, in different ways, which might have an impact on the risk of your investment. Would you rather have a better deal with a B-rated smaller company or a slightly less favorable deal with a well-known A+ company? Once you learn the basics about annuity types and decide what type is more suitable for your needs, you will need help of a licensed annuity agent, who can help you select the annuity product that is right for you. Please keep in mind that many annuities are sold incorrectly, that there is way too much misleading information about annuities online, hardly anyone is willing to give consumers full access and power to choose independently, and most of the people who write about or discuss annuities online have some form of financial gain to make by selling you a specific annuity. Always be sure to seek out personalized guidance from a licensed advisor/agent in your state, who has an access to various annuity products from different annuity companies. Annuityeducator.com can help you find the right agent. Both deferred and immediate annuities provide a guaranteed stream of income. Deferred annuity contract delays payments of income or a lump sum until the investor elects to receive them. This type of annuity has two main phases, the savings phase in which you invest money into the account, and the income phase in which the plan is converted into an annuity and payments are received. With immediate annuities, in return for your lump sum, the insurance company promises to make regular payments to you (or to a payee you specify) for the chosen length of time – most commonly for the remainder of your life, however long that may be. You are not obligated to withdraw your guaranteed income from the account, it can remain on the account as part of the principle and produce more interest. Fixed annuities are essentially CD-like investments issued by insurance companies. Like CDs, they pay guaranteed rates of interest, in many cases higher than bank CDs. In many cases there is a longer surrender period. Fixed annuities can be deferred or immediate. The deferred fixed annuities accumulate regular rates of interest, and the immediate kind make regular, usually monthly, fixed amount payments during retirement. Predictable payout and low investment minimums make fixed annuities popular among retirees who want a known income stream to supplement their other retirement income. Fixed annuities have a few major disadvantages. The interest rate might be not high enough to keep up with the inflation. The offered rates can be fixed for a limited period, and then drop say, after the first year. If you don’t like the new rates and want to withdraw your money early, heavy surrender charges could kick in and cut into your returns. Fixed indexed annuity, also sometimes called index-based annuity, is a relatively new hybrid product. 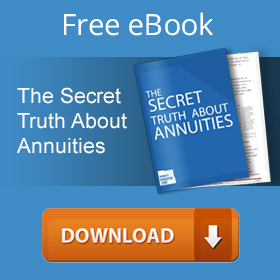 Fixed indexed annuities became especially popular in the past few years. Fixed index annuities provide the guarantees of fixed annuities, combined with the opportunity to earn more interest. Even though you are not actually investing in the stock market, the interest rate of your investment is tied to the value of a stock market index (such as Standard&Poor’s 500, Dow Jones Industrial Average, Russell 2000, etc). Even though many fixed index annuities offer different terms, most of them guarantee a minimum “base” interest in low market. However if the stock market rises, since your interest rate is tied to the performance of a benchmark index, you will have an opportunity to earn higher interest rates that regular fixed annuities usually offer. A variable annuity allows you to choose from a selection of investments, and then pays you a level of income in retirement that is determined by the performance of the investments you choose. Compare that to a fixed annuity, which provides a guaranteed payout. Variable annuities are designed to produce a higher gain for long-term capital growth in favorable market. They do this by allowing you a choice to invest in several mutual-fund-like portfolios called subaccounts. If your investment strategy or financial goals change over time, you can exchange assets among portfolios without paying a fee or triggering a taxable event. Variable annuity has a bigger growth potential, but there is also much higher investment risk. There is also a matter of taxation; the income withdrawn from the account might be a subject to a slightly higher income tax than with fixed annuities. Single-Premium Annuities vs. Flexible Premium Annuities. With single-premium annuity, the investment is made all at once (perhaps using a lump sum from a retirement plan payout). 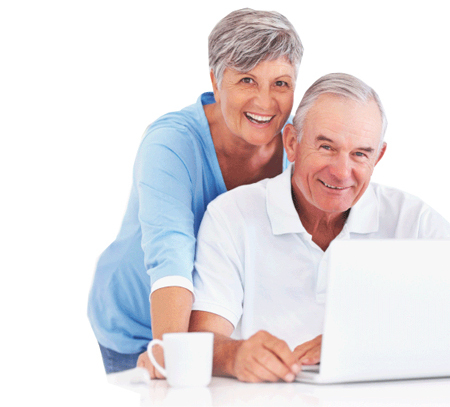 With the flexible-premium annuity, the annuity is funded with a series of payments. The first payment can be quite small. IRA or 401k contributions can be used to fund the flexible-premium annuity. Floor & Cap Rate. This terms are mostly used fixed index annuities. The floor refers to the minimum guaranteed interest rate credited to the account. This rate at the present time is usually between 0% and 2%. The cap rate is the annual maximum percentage increase allowed. For example, if the chosen market index increases 35%, and the contract has a 10% cap, the increase will be limited to 10%. Some contracts do not have a cap rate (these tend to have a lower participation rate, such as 30% to 50% compared with 75% to 100% for a plan with a cap rate). The cap varies depending on the length of your term — fixed-indexed annuities with longer commitment periods (surrender periods) tend to have a higher cap rate, whereas annuities with shorter surrenders periods tend to have a lower cap rate. NOTE: The cap may reset annually and is subject to change at each renewal. Spousal continuation vs. joined account. Another factor you should consider when investing in annuities is what happens with the money if the account holder dies. Some annuity products offer spousal continuation, which means that your spouse will continue receiving your benefits after you die. This option can be part of the contract or be purchased as an additional rider. Sometimes there is also an option allowing your beneficiary to collect the remaining portion of your principle or a lump sum. Some annuity products allow to open account with no additional cost, this usually applies to annuities that don’t have lifetime benefits. Penalty on unscheduled withdrawals, also called surrender charges. Most annuities allow you to withdraw either your interest earnings or up to 5-10% per year without a penalty (although withdrawals can impact income stream amounts and the death benefit, and may be subject to taxes and a 10% federal penalty if taken prior to 59½ years of age). Beyond that, most annuities have a surrender charge, which is a penalty for making an early withdrawal above the free withdrawal amount. Typically this surrender charge is a percentage of the amount withdrawn, and decreases over a seven- to ten-year period. If tax-deferred retirement savings (such as IRA and 401k) were used to fund the annuity, early withdrawal penalties might also apply. Generally, early withdrawal from an Individual Retirement Account (IRA) prior to age 59½ is subject to being included in gross income plus a 10 percent additional tax penalty. There are exceptions to the 10 percent penalty, such as using IRA funds to pay your medical insurance premium after a job loss. Longevity annuity is a type of fixed-income annuity, longevity annuities are basically a type of future individual pension plan with a deeply deferred income payout period. Contracts can be issued at any age, and income can be deferred up to 45 years. Payment from these annuities typically, but not always, begins at age 80 or later.